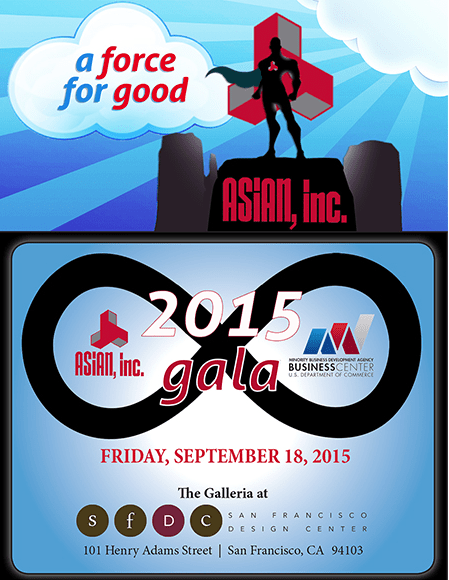 We are thrilled to assist Bay Area-based nonprofit ASIAN, Inc. in what is sure to be a spectacular gala on Friday, September 18. Held at the SF Design Center Galleria and appropriately named “A Force For Good,” we wholeheartedly support ASIAN Inc.’s mission of creating opportunities in housing, financial services and entrepreneurship for minorities and people living in low and moderate income communities. We are clear on our own reasons for assisting with the gala and we want to share with you the reasons why you should plan to attend, as well. First, a little background on this powerful non-profit organization and its importance to the community. Since its inception in 1971, ASIAN Inc. has worked tirelessly to ensure that women and men from low and moderate income communities know about the potentially life-changing opportunities that are available to them. Such opportunities include those within the housing sector, financial services and within the entrepreneurial landscape. With the assistance of partners like the U.S. Department of Commerce’s Minority Business Development Agency, ASIAN, Inc. offers several programs aimed at helping to improve financial literacy and break down barriers to home ownership. The agency is also deeply committed to helping women and other minorities thrive in business by offering certification programs, technical assistance and increasing access to opportunities. More information about ASIAN Inc.’s programs, services, partners and accomplishments can be reviewed at their website. 1. 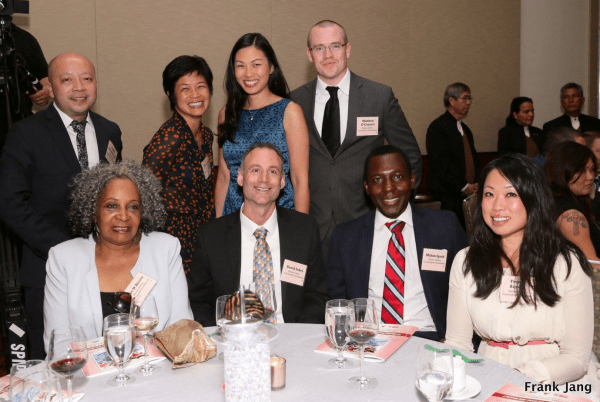 ASIAN Inc. is providing a powerful opportunity to network with a number of well-respected and influential business and community partners, as well as several elected officials. 2. Become part of a movement to widen diversity pipelines for talented and qualified minorities living and working in the Bay Area. 3. Join in recognizing deserving honorees such as Richard Lui of MSNBC; Retired Presiding Judge Honorable Harry Y. Low; Noel Lee, CEO of Monster Cable; Florence Kong, CEO of Kwan Wo Ironworks, Inc. and Cheryl Timoney, Pro Bono Manager at Salesforce. 4. Show your personal and professional commitment to diversity. 5. Enjoy live entertainment courtesy of Bay Area-based band The Delivery, including an open beer/wine bar. As if you needed more reasons to support this most worthwhile fundraising gala, consider that sponsorship opportunities are also still available. If your company would like to sponsor this non-profit event or offer more prominent support to ASIAN Inc., please contact us. Are you planning to attend the “A Force For Good” gala? Would you care to share your own reasons for doing so? We look forward to hearing from you and be sure to say hello in person at the SF Design Center Galleria on September 18th!